All of a sudden, the musical had a different meaning to me, and something clicked about my own story. My mom grew up on Long Island, and my grandmother, Nana, was a single mother for parts of my mom’s childhood. 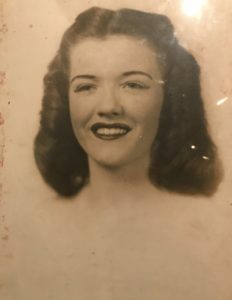 My Nana dropped out of high school to dance in duos and vaudeville acts in the 1940s, and once she got married, she started working as a waitress. My mom would always say that even though she had no education, she was the smartest woman you’d ever met. I believe her, as my mom became the first person in her family to go to college, ultimately receiving her doctorate and teaching at Stanford. I am not the most mathematically inclined, so I always wondered where my proclivity for writing originated. My dad, an engineer who does enjoy picking up a pen every now and then, always suggested it was from his mother: A college graduate who studied English and married soon after graduation, never joining the workforce. For some reason, I didn’t feel like I identified with this story. I loved my Mimi, and she showed strength and resilience in different ways, caring for her husband for several years after he had a debilitating stroke. But my creative and theater-loving soul was always drawn to my vaudeville-dancing grandmother from Long Island. While she might have forgone schooling to make different life choices than me, her spirit of adventure and autonomy and survival called to me in a way that a suburban married life never had. So when my mom said that my Nana had worked for Helena Rubinstein, I had an immense gratitude for someone I’d never met. (Even though, by most accounts, Rubinstein was a bit of a tyrant and not very well-liked.) My Nana was born in the 1920s and came of age at a time when the idea of women working was slightly shunned—the same time that Rubinstein and Arden were building their companies, which became “instrumental in helping create jobs for women,” says Lindy Woodhead, author of War Paint: Madame Helena Rubinstein and Miss Elizabeth Arden: Their Lives, Their Times, Their Rivalry, the book on which the musical is based. “The workforce was virtually 100-percent female,” Lindy says of the factory lines, where my Nana worked. She adds that the board members and executives were usually male, as were the factory floor managers. Women also thrived as beauty consultants and beauticians in the salons, and many found more opportunity in advertising, public relations, copywriting, and event organization. While Woodhead notes that the factory conditions difficult, my Nana loved her job. My mom remembers her coming home from work after a long day packaging lipsticks and being so excited about the efficiency tactics she had learned. She’d even show my mom how to fold the boxes so they wouldn’t cut your fingers. Her work gave her life meaning in a new way, and she could support her family. She even received some complimentary lipsticks from Rubinstein’s line. Even though she was on the factory line, my Nana too was fighting for her survival and for her worth, and although she died when I was 9, I remember her humor, dedication, and passionate spirit. My Nana never made it to the board or directors or even as a salesman, but her work gave her meaning. She loved it. Next time I open a box with a brand-new tube of lipstick, I’m going to think about the women that went into making that product—and their future granddaughters. 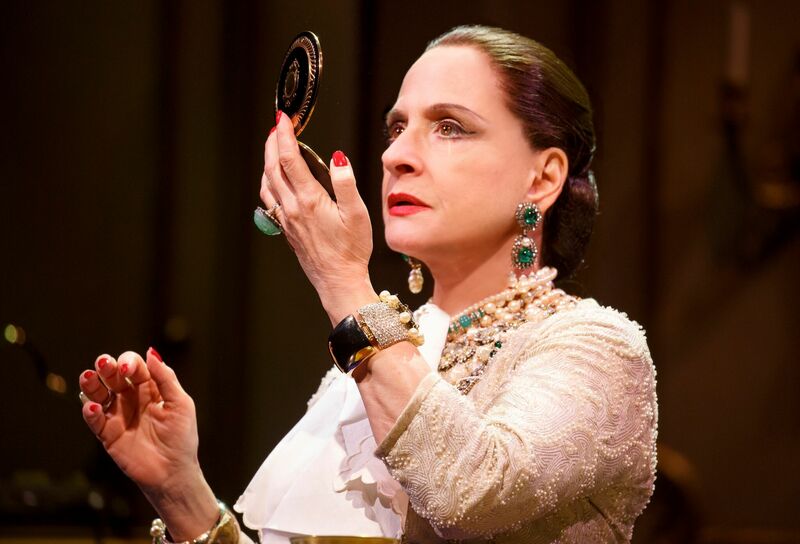 Get no-fee tix to War Paint on TodayTix from $40.